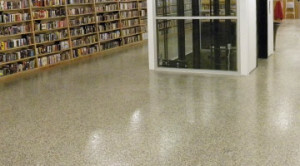 Why do we typically recommend applying one of our high performance flooring topcoats over your new coating system? Finishing off your resinous concrete covering with just the right thin film topcoat is a very economical way of providing your floor with additional polymer attributes and even longer wear. What are High Performance Flooring Topcoats? These give your concrete flooring systems the extra properties to make them a truly superior value, based on your facility’s unique needs. For example, you may have a space that experiences heavy traffic from pedestrians as well as rubber-wheeled or steel-wheeled carts—and we have the ideal abrasion-resistant topcoat. Alternatively, you may have a laboratory or battery storage area in your facility that requires resistance to sulfuric acid and other corrosives—we have high performance topcoats for that, too. These aren’t the only environments that benefit from resinous concrete coverings, either. Our extensive line of high performance flooring topcoats can handle a wide variety of environments within your facility. These and other reasons are why our flooring topcoats are so commonly requested as a final touch on concrete flooring systems. The slip resistance of your resinous concrete covering system is completely customizable with Florock. 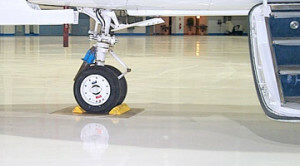 You may need a higher level of skid resistance in one area of your facility than in another, and we can provide this easily and economically. Employing the properly-selected high performance topcoat as the method of either spreading or encapsulating your choice of slip-resistant aggregate is an effective floor finishing method. It allows our approved installers to accommodate your needs—even those occasional last-minute decisions—with ease.